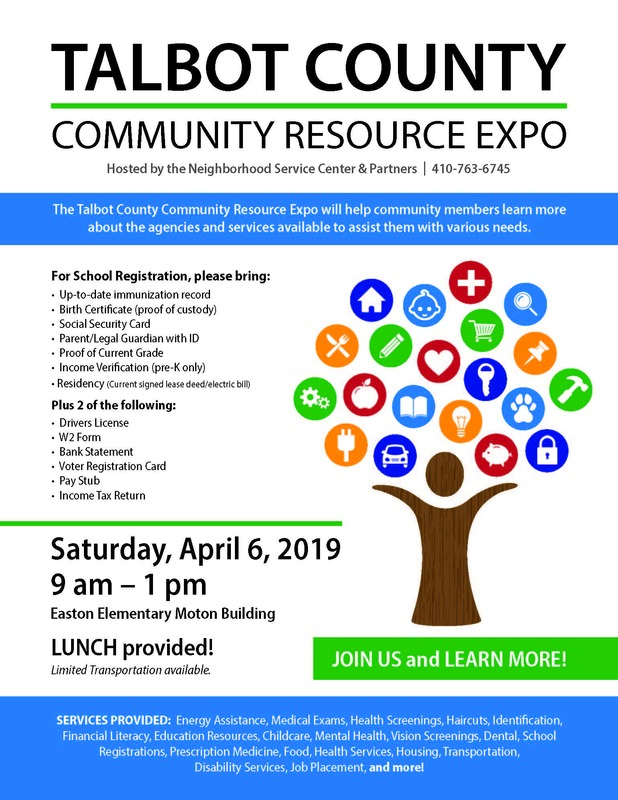 COME LEARN MORE ABOUT THE AGENCIES AND SERVICES AVAILABLE IN TALBOT COUNTY! Lunch Provided and Transportation Available!! Services provided Include: Energy Assistance, Medical Exams, Health Screenings, Haircuts, Identification, Financial Literacy, Education Resources, Childcare, Mental Health, Vision Screenings, Dental, School Registrations, Prescription Medicine, Food, Health Services, Housing, Transportation, Disability Services, Job Placement and more!